Here at Smart Circle we believe in giving back to the communities in which we live. We believe that if each person does their part, we can make a real difference in the world around us. As a company, one of the ways we aim to make the world a better place is by supporting the Breast Cancer Research Foundation (BCRF). 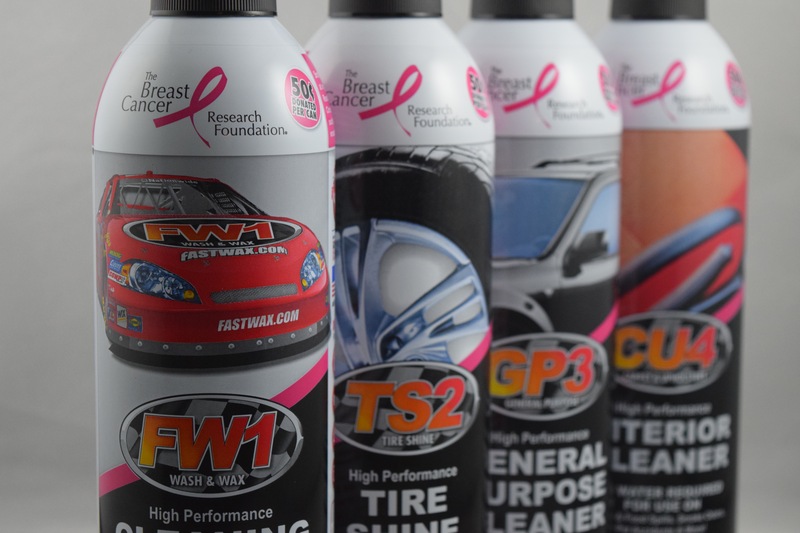 In January of 2013, Smart Circle International, and RGS Labs International, Inc. partnered with the Breast Cancer Research Foundation, the world’s largest private funder of breast cancer research, to create the FW1 Pink Promotion. To date, the program has raised an amazing $6 million to fund critical research that is improving the quality of life of breast cancer patients while developing new life-saving treatments. As a direct result of these funds raised, there have been 24 distinct research grants and over 1 million lab hours funded! Specially marked cans sold for the FW1 Pink Promotion. Picture taken at the ceremony to celebrate $5 million donated to BCRF from the FW1 Pink Promotion. Learn more about Smart Circle Giving and check out the other company initiatives we are involved in.